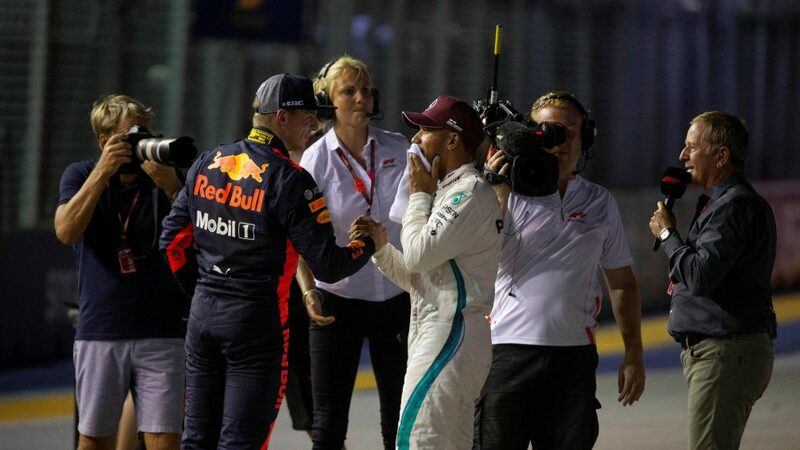 Twelve months ago, Max Verstappen lined up in second place – alongside Sebastian Vettel – and was not to be bullied off the line as Vettel moved to defend, with Kimi Raikkonen creating a sandwich that resulted in contact between all three. Verstappen had little to lose on that occasion, and the same is true of this weekend’s race. 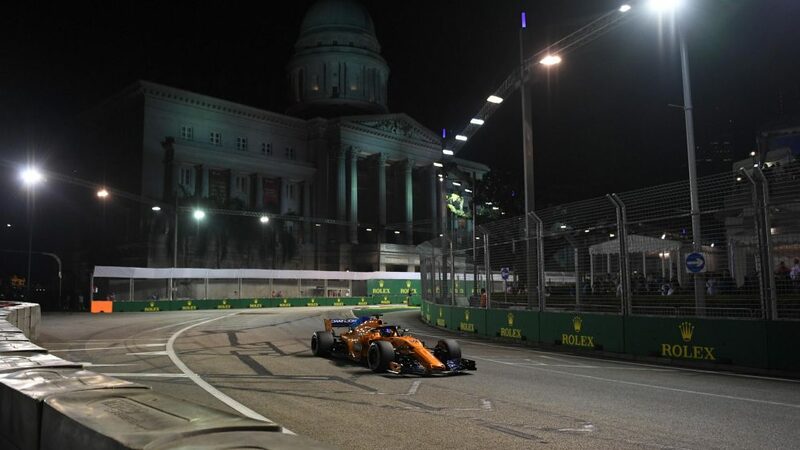 Red Bull have once again proven strong on the Marina Bay Street Circuit and Verstappen rates his qualifying lap as the best of his Formula 1 career to date. 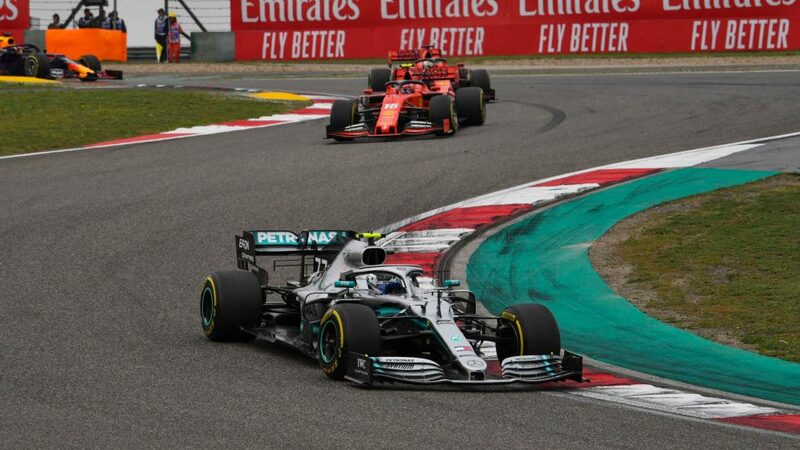 Splitting the two main title contenders, the Dutchman already has a victory to his name this season but is not in the championship hunt and doesn’t have to think of the bigger picture when it comes to points. 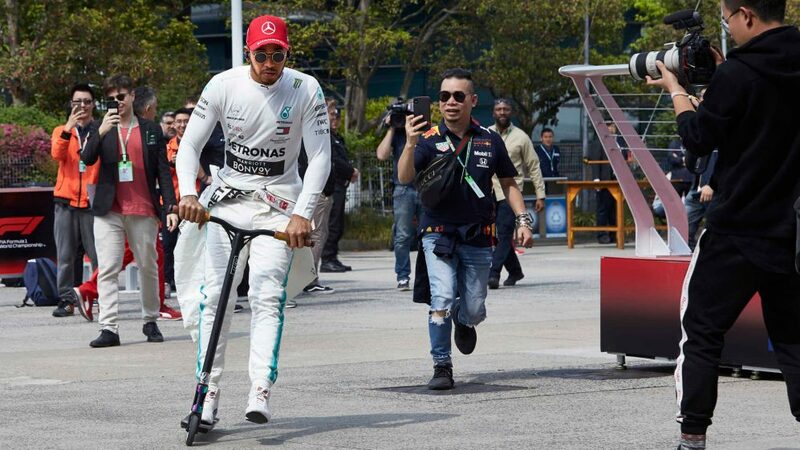 Second place on the grid is on the inside of the track here in Singapore, so while Lewis Hamilton will have the advantage of being on the racing line, Verstappen is already in a strong position if he wants to attack into Turn 1. As he has shown on a number of occasions, the 20-year-old is not afraid to make aggressive moves at the start given half an opportunity. The Italian Grand Prix was a real disappointment for Vettel, who saw the race as a big opportunity to close the gap to Hamilton in the drivers’ standings. 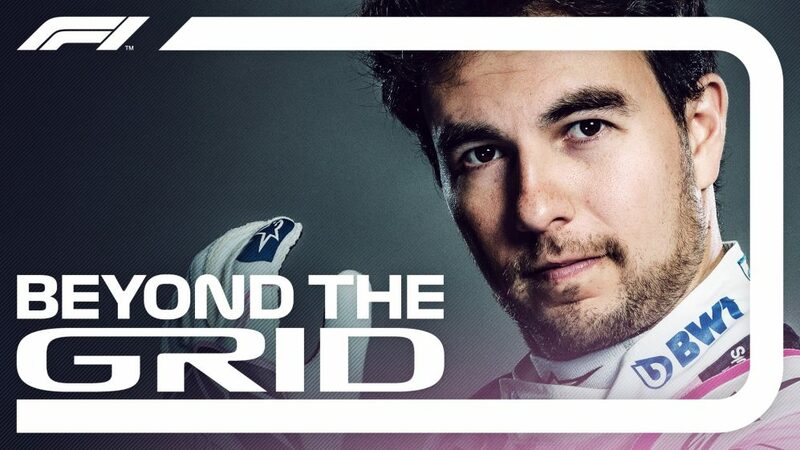 Instead he finds himself more than a race win behind the championship leader, and so he really can’t afford to lose yet more ground in Singapore. Ferrari have looked strong throughout this weekend so far, so third on the grid and 0.6s adrift of Hamilton was definitely not what Vettel was expecting. 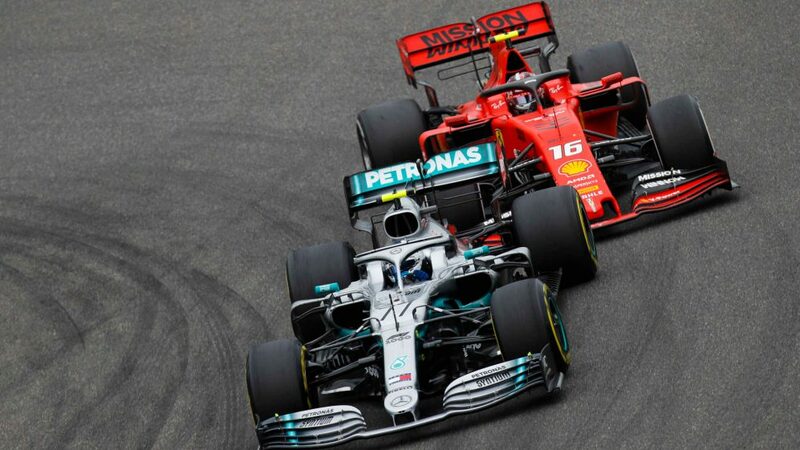 Starting directly behind his title rival, Vettel is on the back foot and needs to find a way to at least pass the Mercedes and eat into Hamilton’s advantage. In wheel-to-wheel combat in Italy, Vettel came off worst and ended up spinning on the opening lap, demoting him to the back of the field. 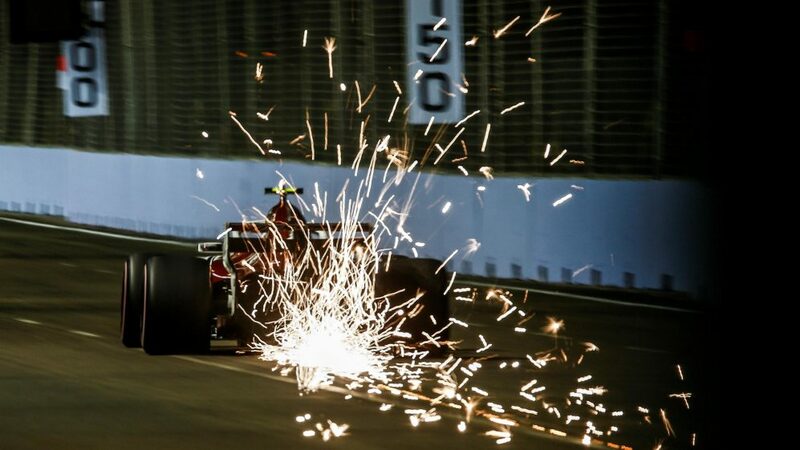 There was also an error in FP2 on Friday in Singapore that cost him his long run on high fuel, and it is clear the pressure is ramping up as Hamilton continues to deliver strong performances. 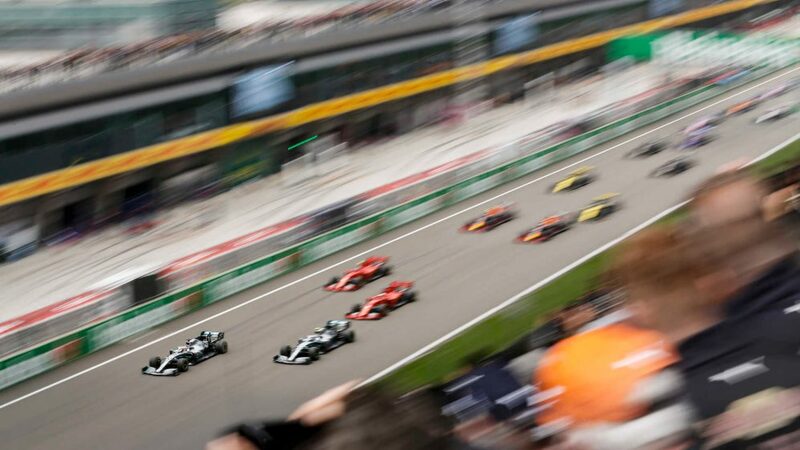 It will be fascinating to see how Vettel handles the race on a circuit where he has enjoyed huge success in the past, but which is the venue where his 2017 title challenge really started to come undone after he retired on the opening lap and Hamilton won. Verstappen might have little to lose, but a bad result for Vettel would leave him facing an extremely tall order in terms of the drivers’ championship. Pirelli’s tyre choices for this weekend’s race have thrown up a very difficult situation for the teams at the front of the field. As qualifying showed, the hypersoft has a clear performance advantage over the ultrasoft, with Ferrari unable to reach Q3 without using the softest compound. The problem is, the hypersoft is degrading incredibly quickly compared to the other two compounds. Worth an average of 0.3s per lap in terms of lap time over the ultrasoft, the hypersoft loses nearly half of that advantage over one lap. 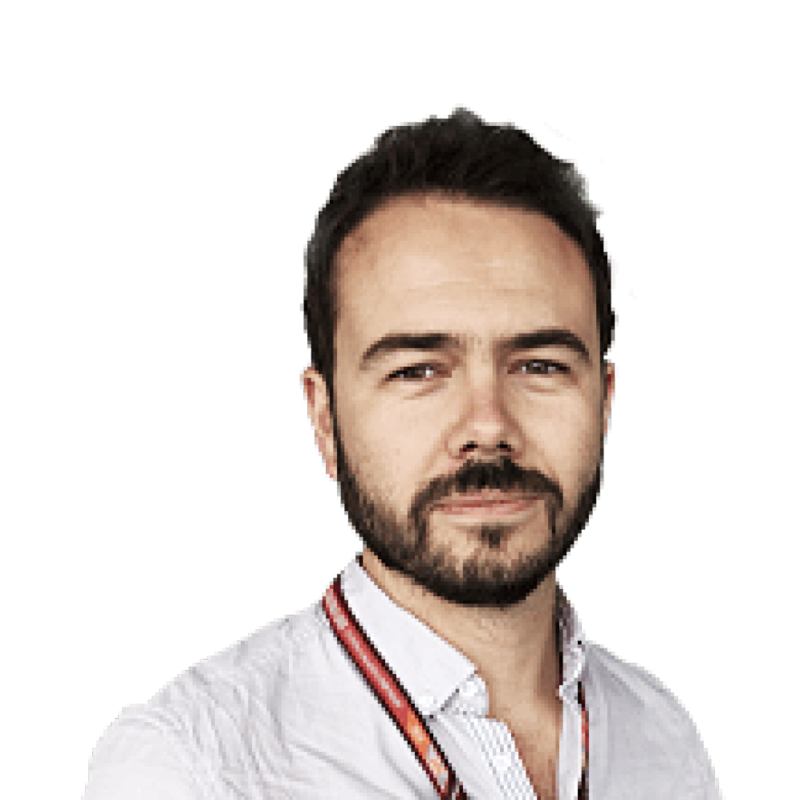 Put simply, the rate of degradation should mean cars on the ultrasoft tyre should be able to go quicker after three laps than if they had started on the softest Pirellis. The top six cars all have enough of a performance advantage to still be able to climb through the field even if their first pit stops come so early that they emerge in traffic. But from seventh place back, things could be really tricky. And that tyre issue is music to the ears of the Spanish pair of Fernando Alonso and Carlos Sainz. 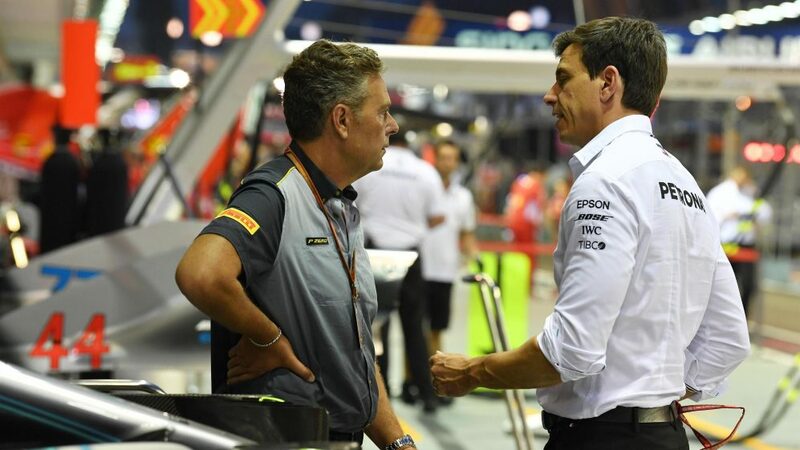 Starting on row six in 11th and 12th respectively, the McLaren and Renault are the first two cars that will be able to choose the tyre compound they start the race on. Pirelli predicts the fastest strategy to be a one-stop, starting on the ultrasoft and switching to the soft around the lap 24 mark. 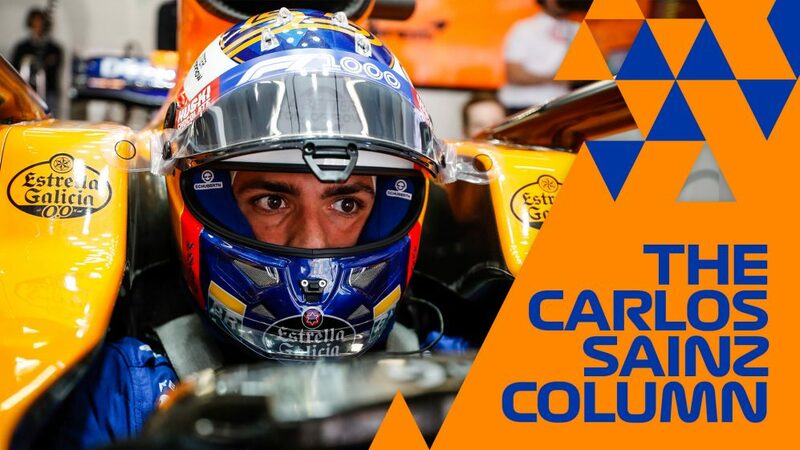 With the top 10 drivers unable to do that – and Pirelli predicting their opening stints to be about half that length – there’s a chance Alonso and Sainz could even lead before making their own first pit stop given a clear run. 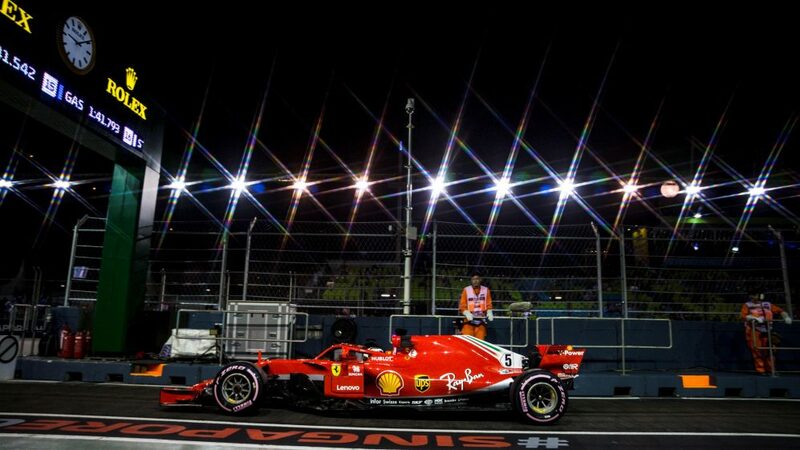 There are two things that tend to happen at least once during a Singapore Grand Prix weekend: the Safety Car makes an appearance, and it rains. 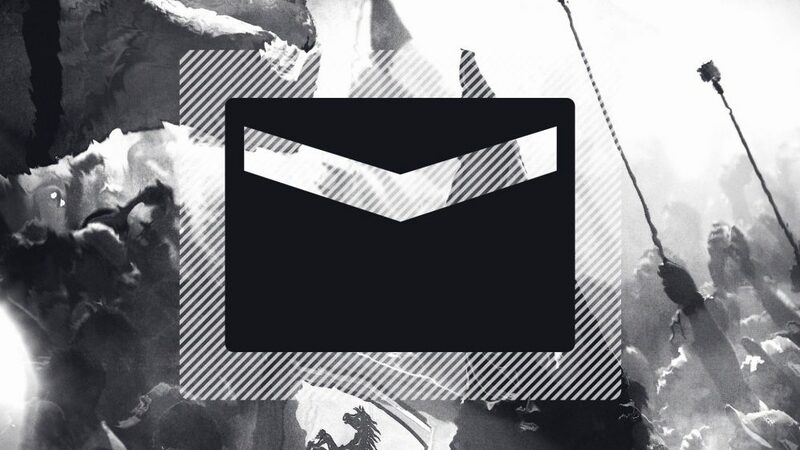 Hard. The weather forecast doesn’t predict any rain during the race and the weekend has been dry so far, but Sunday looks set to start with some heavy thunderstorms. While the track will dry rapidly, if the weather hits a little later, then there’s a chance some rain could be a threat. What has been a recurring theme in past races at the Marina Bay Street Circuit, however, has been the Safety Car. 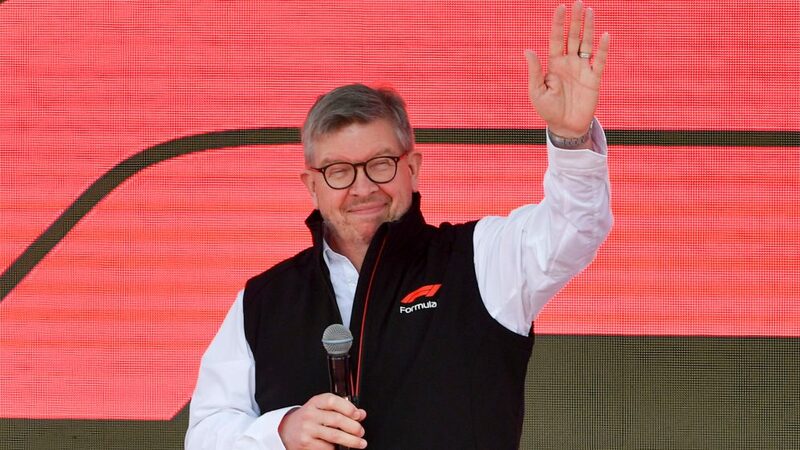 Every race since the inaugural visit in 2008 has seen Bernd Maylander’s services needed, with the first lap crash last year meaning he was leading the race within moments of the start. Not only does the presence of the Safety Car suggest there has been drama – it can also have a major impact on strategies. 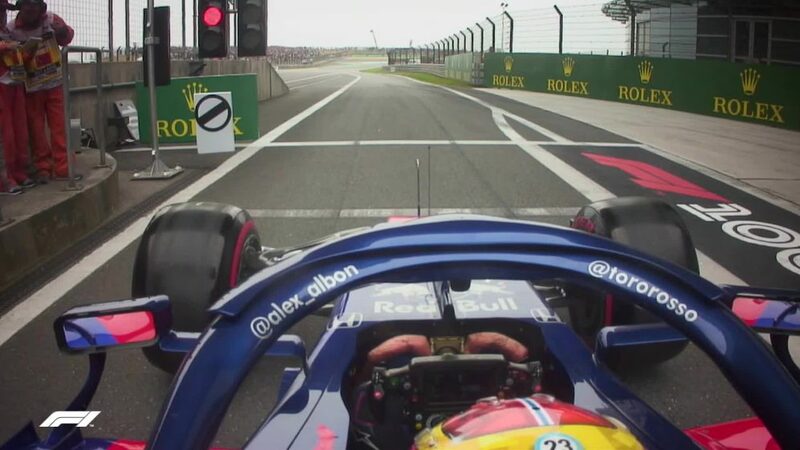 An early appearance is likely to see the top 10 dive for the pits in order to get rid of the hypersoft tyres, which could lead to a very mixed up order on the race restart. 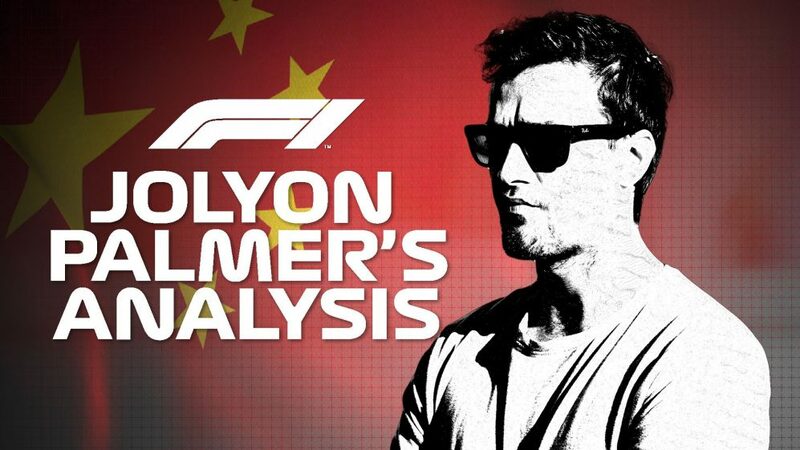 With close walls, high temperatures and a race that usually proves to be the longest of the season in terms of time, the opportunities for mistakes are plentiful, and a good result in Singapore never comes easy. WATCH: Singapore’s always action-packed – just check out the start from last year!